If you don’t like spending your free time mowing, then the robotic 1200R mower is what you need. 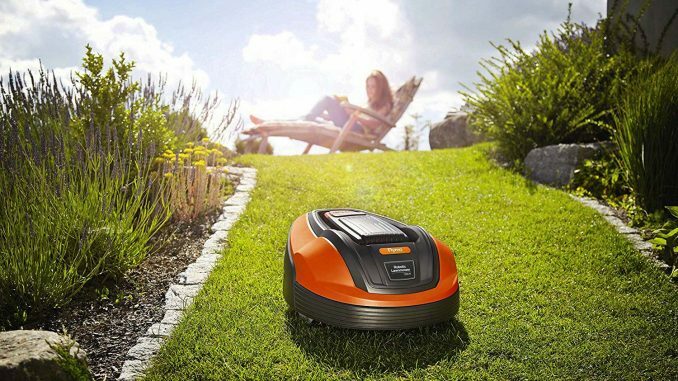 The Flymo 1200R robotic lawn mower is a powerful mower designed to do the mowing for you. 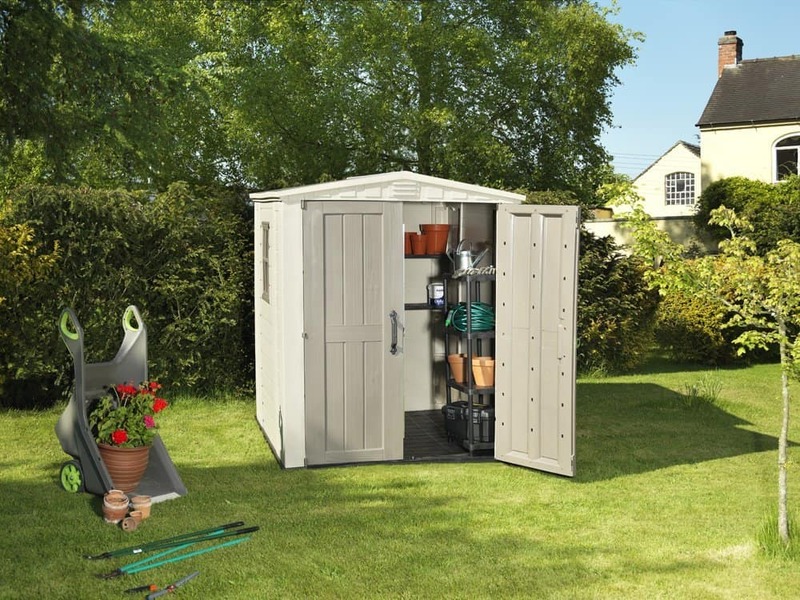 This Flymo model is battery-powered and is suitable for a lawn that measures approximately 400 M². 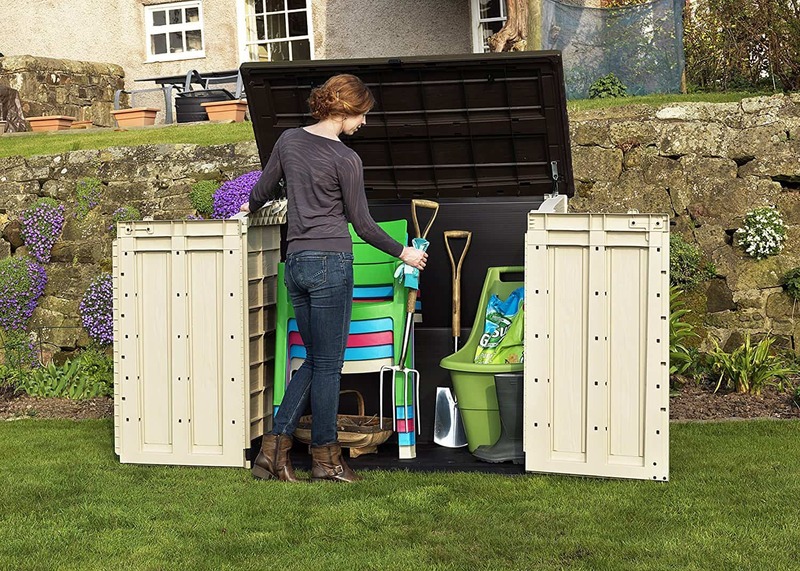 Flymo 1200R lawn mower – What’s in the Box? The installation of this mower is similar to other robotic mowers. Use the included installation DVD and quick start manual to set up the mower. Mowing is time-consuming and tiresome. The Flymo 1200R is a powerful self-propelled mower that is designed to make work more manageable for you. 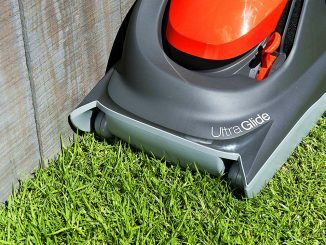 This mower features a slim design that enables it to mow close to the wall or fence. 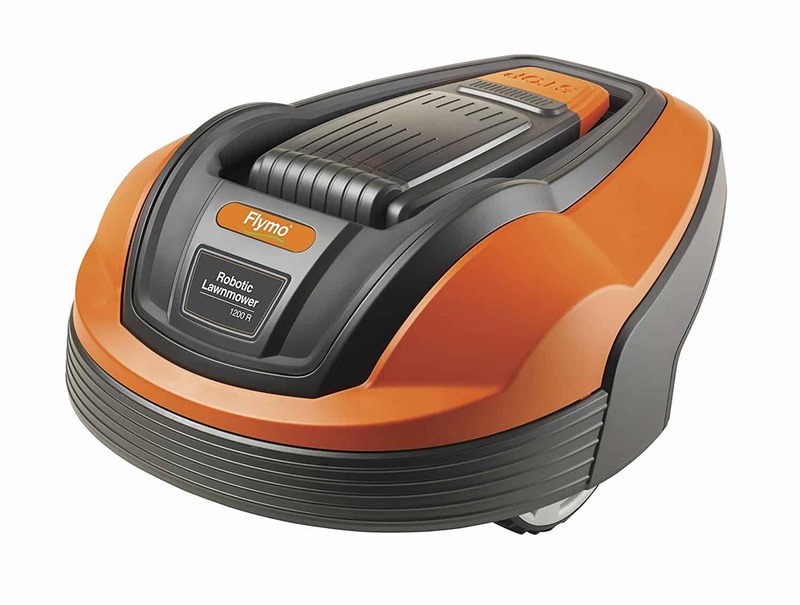 The 1200R is powered by an 18 V, 1.6 Ah lithium-ion battery. This battery takes approximately 1.5 hours to charge fully. 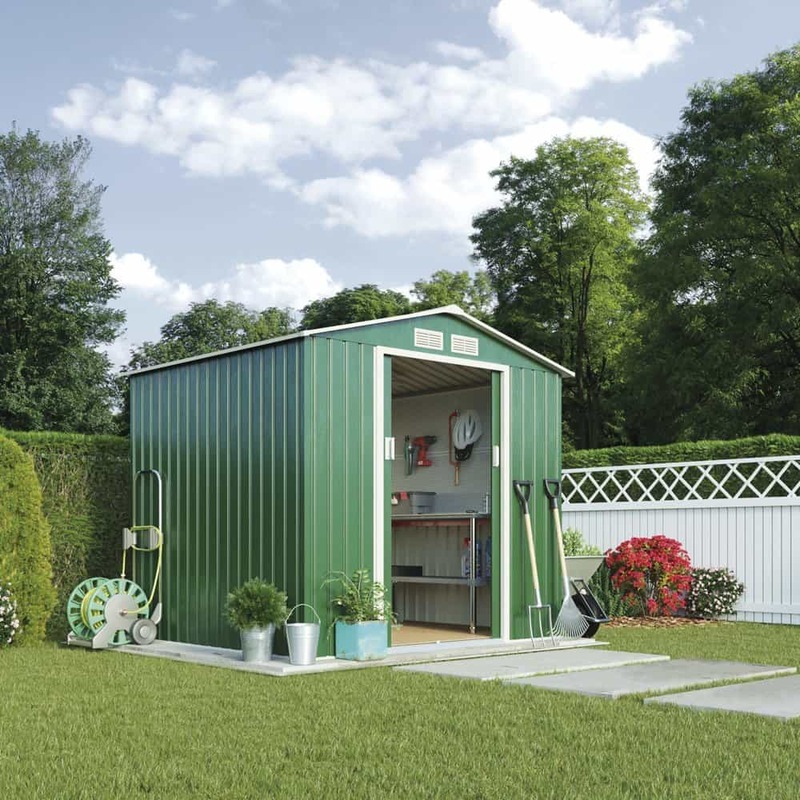 When fully charged, it lasts up to 60 minutes and cuts grass at the speed of 30 m2/hr. The top side of the lawn mower features a start/stop button which you will use to start or stop the machine manually. It also features a central cutting adjustment knob. With this knob, you can adjust the cutting height to a minimum of 20mm and a maximum of 50mm. The top side also features a security pad. Anytime the unit is picked up or manually stopped; a security code has to be entered via the security pad. If the code is not entered, the loud anti-theft alarm goes off. This versatile security system helps prevent theft. There is also a small programming screen that allows you to enter your mowing schedule. You can set the mower to come out when the lawn is not in use. The bottom side of the mower features high traction wheels. These wheels enable the mower to move up and down the garden quickly. The lift, bump, and tilt sensors are also found on the bottom of the mower. 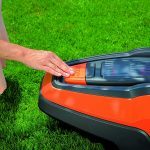 These highly sensitive sensors help keep the mower from bumping into obstacles within the lawn. So what happens if it bumps into an object? The blades stop immediately and the mower changes direction. Honestly, you will enjoy watching this mower work for you. To set up the mower, follow the instructions on the installation manual, DVD, or the quick start manual. 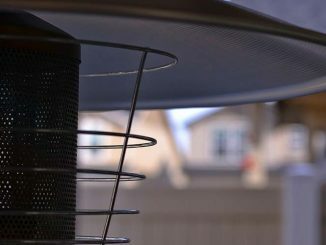 The only part that is time-consuming on the setup process is installing the boundary wire. You should install this wire at the ground level or underground. Do not raise it above the ground. This wire measures 150 metres and comes with 200 boundary pegs. The mower works by first sensing the boundary lines and mapping out its path. This boundary helps keep the mower away from flowerbeds and fences. The Flymo 1200R comes with a 17cm metallic blade. This blade cuts the grass neatly. To avoid leaving wheel marks on the lawn as it mows, the mower works by moving in random patterns. This irregular movement also allows the mower to cover the garden evenly. The Flymo 1200R can handle inclines and slopes. Unlike traditional mowers, the 1200R does not have a grass box. So, where do the grass clipping go? Well, they are mulched. While mowing, this robotic unit cuts the cuttings into small, unnoticeable pieces. These pieces are deposited back to the ground and act as natural fertiliser. A quick tip: Before the 1200R starts mowing, remove any dog poo from the lawn. You don’t want your mower smelling. 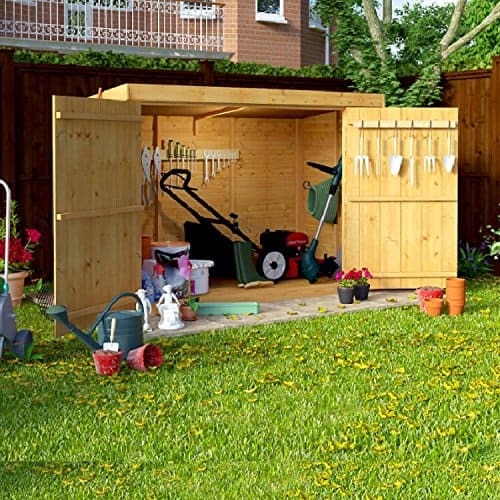 With this lawn mower, your garden will get the proper care it needs with minimal input. If you love spending your free time with friends or pursuing a hobby, then this mower is for you. After the initial set up, all you have to do is decide when you want the Flymo 1200R to mow and enter the schedule via the programming pad. Following the programming, the mower will start by itself and mow your lawn for the set time. Compared to other mowers, from other brands, this mower is affordable and easy to maintain. 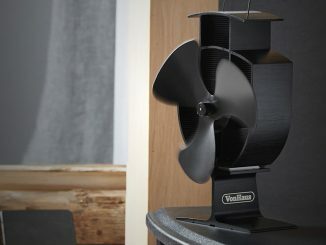 It uses a rechargeable battery, so you need not worry about power consumption or power cables. When the battery requires recharging, the 1200R takes itself back to its charging station. 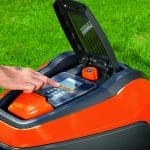 The battery takes about 1.5 hours to recharge fully, and then the mower resumes mowing. With a noise level of 58 dB(A), this Flymo model is one of the most silent mowers on the market. This allows you to read a book, talk to your company, or listen to music without interruptions. 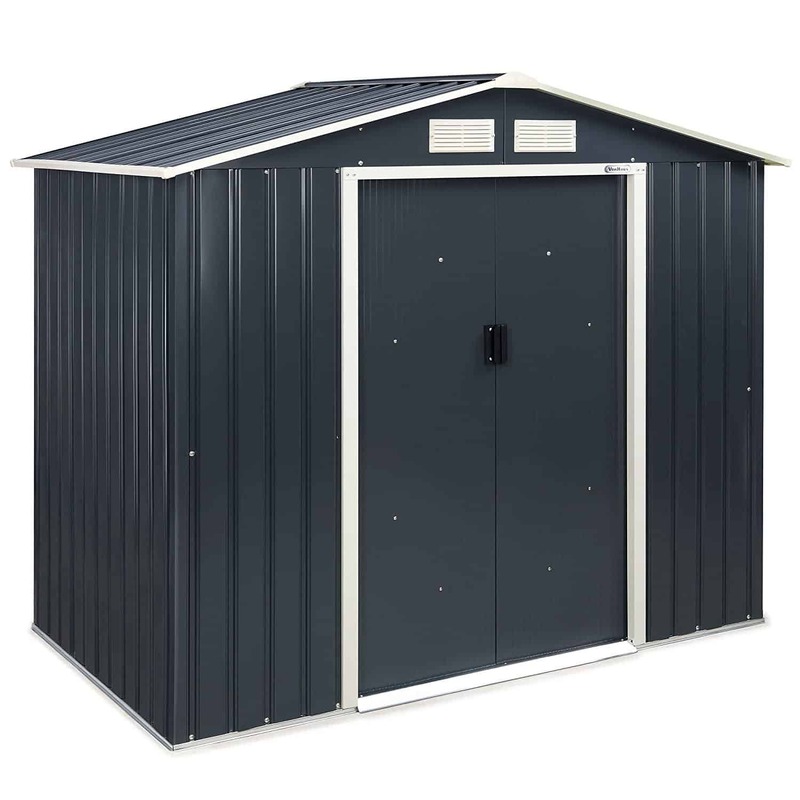 You can leave the unit in the garden. It is not affected by rain. However, it is advisable to bring it inside during winter. Make sure to store it while it is fully charged and in its original packaging. The 1200R comes with a two-year warranty. Its spare parts are readily available. Mowing is time-consuming and tiring. 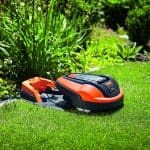 If you want to use your spare time on the things you enjoy, then consider this versatile robotic mower. The 1200R is a robust mower that only requires a set of instructions from you. 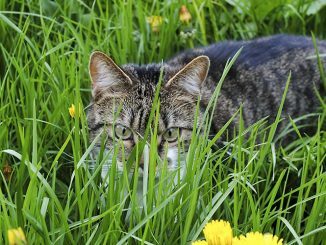 After this, it will quietly mow your lawn whether it’s sunny or rainy. This affordable mower is designed to make life easier for you. 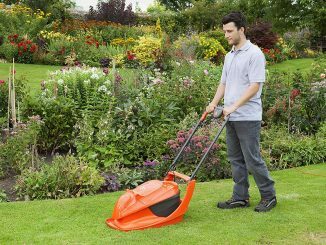 At Garden Shed Review, we highly recommend the Flymo 1200R robotic lawn mower. 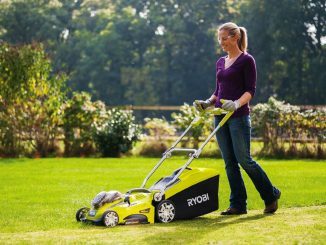 The Flymo 1200R robotic lawnmower brings cutting the lawn into the future! Handsfree, hassle-free, complete lawn care solutions!